A new film series comes to Alamo Drafthouse, presented in conjunction with us, The Rub! Having taken the party around the world, moved umpteen records, CDs, and mixes, and released hundreds of episodes of Rub Radio, we are building on our legendary mix series – The History of Hip-Hop – by curating some great hip hop films. We’ll be showing our next film on Thursday, June 7. Released 25 years ago in May of 1993, Menace II Society was the directorial debut of the Hughes Brothers (twins Allen & Albert – directors of cult classic Dead Presidents). 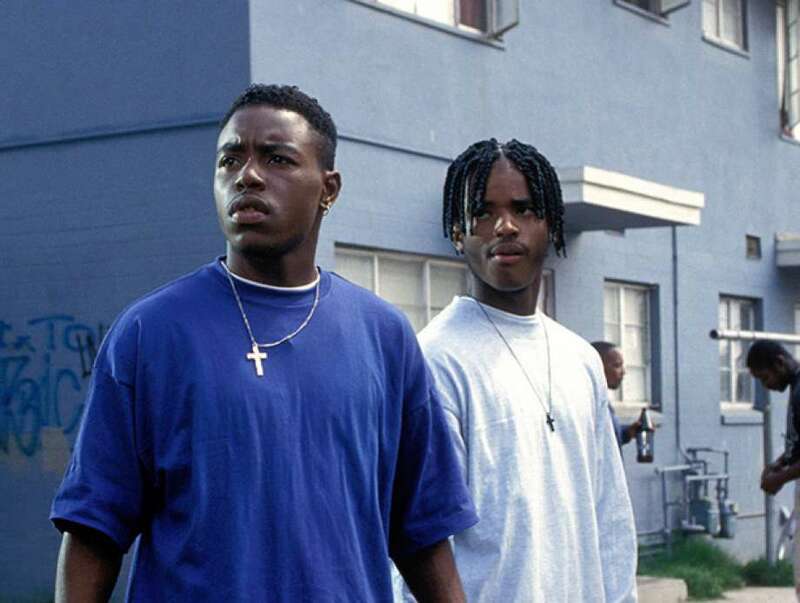 Set in it Watts, CA, Menace tells the story of Caine (Tyrin Turner) and O-Dog’s (Larenz Tate) struggles against the racism, drugs, and violence that gripped the LA area at the time. The film stars a pre-Fresh Prince Jada PInkett and Samuel L. Jackson, as well as an amazing roster of West Coast rappers, including MC Eiht, Too $hort, and Saafir. After the screening, join us for more music, dancing and drinking at the House of Wax!